The 8th head of the Hamacho Kano School in Edo. Younger brother of Kano Osanobu. Tosen was born as the 5th son of Kano Isenin Naganobu. Later, Tosen succeeded to the family head of the Hamacho Kano School. He was ordained as Hogen rank. He deceased in the 4th year of the Meiji era (1871). Description The scroll is foxed overall as it was drawn years ago. 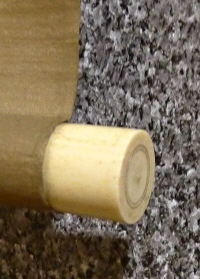 One of the pair of Futai is almost unfastened. There are several worm-eaten holes. On the drawing part, there are some exfoliations and stains. And one of the roller ends is lost. Although, a Hoju Buddhistic treasure ball is drawn powerfully using Sumi black ink. 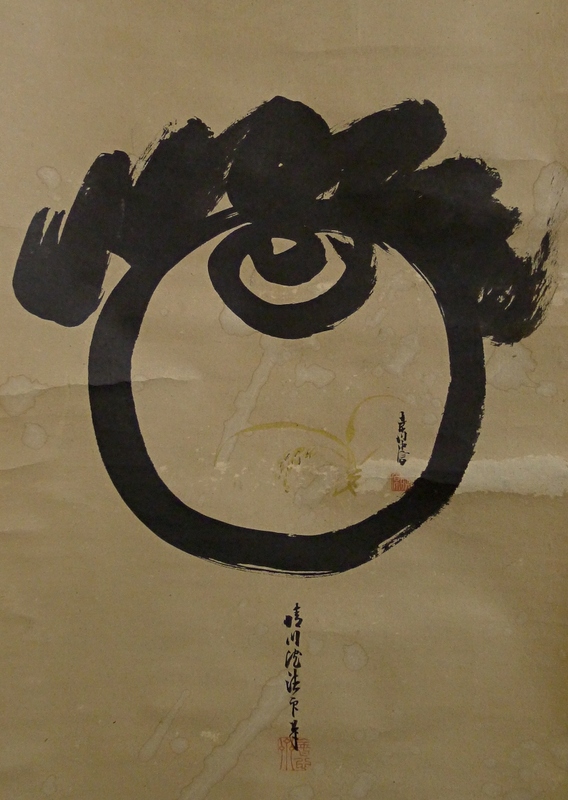 The Hoju was drawn by Kano Osanobu. 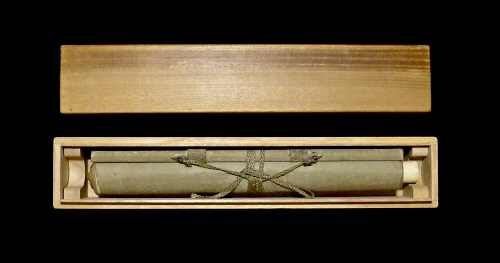 And also rice stalk is depicted in the Hoju using golden ink by Kano Tosen. So, we cannot guarantee that this scroll is authentic one.